Crewfinders has moved next door to 404 SE 17th Street. With the Winter season yachts have moved back to the southern climates of South Florida and the Caribbean. Crew changes this time of year always make getting a new position easier. Opportunities are plentiful if you are thinking of heading in a new direction, or improving your crew job situation. Owners are reaping the rewards of some of the best talent in the industry looking for new challenges. The winter season brings cruising in the Bahamas and the Caribbean, usually with some yard periods in South Florida to make ready for the upcoming Charter season. Crewfinders supplies yacht crew to some of the best mega yachts on the water and is currently searching for a number of applicants with specialized talents. Come by and say hello if you think you have exceptional skills to offer. Please see the new pages for Yacht Captains Seeking Crew and Chief Stews & Pursers Seeking Crew to help those yacht officers looking for crew with information and forms to use. Also see our FAQ Page for helpful information for yacht crew seeking jobs. Please use our Secure Registration Form for the fastest method to be presented to an employer for a yacht crew job. We have on our weekly updated Yacht Positions Page samples of our positions currently available and others upon inquiry and registration. We accept VISA, MasterCard, American Express and Discover on the web or by mail or phone. Registered Applicants only may use our new Check-In Form to check-in online. The Fort Lauderdale placement staff consists of Linda Turner and Heather Chase. What are the Advantages for Yacht Crew? 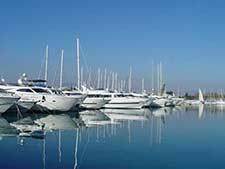 Yachts are of two types for yacht jobs. 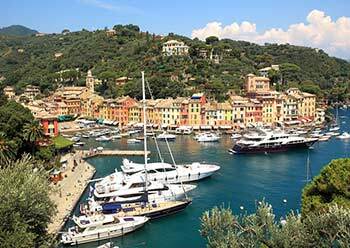 There are motor yacht and sailing yachts available for crew positions. What are the advantages of each? Visit the Crewfinders Yacht Crew Services & Resources for lots of local Fort Lauderdale information including Crew Housing, Starting Crew Salaries, Embassies and Visas, Schools and Training, Marinas and Shipyards and Marine Links. Crewfinders is here to offer these online resources to help new and established yacht crew find what they need to make their professional and personal lives easier. Everybody loves the Yacht Crew Positions page, that's where you find the latest listings for jobs open in the yacht market. Crewfinders has jobs open for captains, engineers, stews, deckhands, mates, chefs and cooks. In addition, Crewfinders has positions available for estate managers, shoreside marine businesses and others. Go to the Yacht Crew Positions Page and see the latest jobs and career opportunities available. Check back often as this list is updated weekly and sometimes more.